In its Special Research Edition of A&M Magazine, honoring the University’s 130th anniversary, FAMU takes readers on a continuous journey to “Explore the Depths of Discovery” happening on the “Hill” every day. FAMU researchers and students represent the gamut of national origins, colors and creeds, and, since its founding in 1887, the University has remained committed to preparing its diverse array of graduates to apply their knowledge, critical thinking skills and creativity in service to society. Through its unique research programs, FAMU brings together students from all walks of life with faculty researchers from assorted disciplines and empowers them to emerge as leading scientists and innovators, in turn making our nation and our world stronger and better. 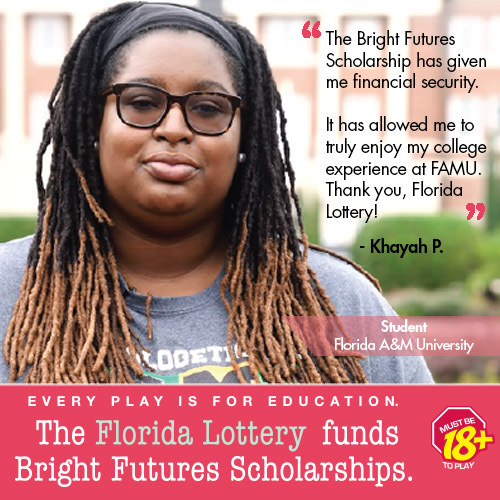 Each story in this special edition not only reflects that commitment but also demonstrates how FAMU has continued to create pathways for bright young minds to follow their dreams while helping to improve the lives of others through their work in a lab, in field study or in a creator’s space. Stories like “Determined to Discover,” “Training the Next Generation of Eco Leaders,” “Title III Programs Open Doors for New Innovators” and “Developing App Innovators on the ‘Hill’” demonstrate how FAMU is leveraging its unique research enterprise to fulfill its historic land-grant mission to utilize innovative exploration to teach and reach others through life-changing advancements. The issue is sponsored by the FAMU National Alumni Association and is available online by clicking here.